When does “yes” really mean “no”? I found myself asking that question Friday while watching the Senate Judiciary Committee vote on whether to recommend the nomination of Judge Brett Kavanaugh to the Supreme Court. I will readily admit that I was as surprised as anyone when Arizona Republican Sen. Jeff Flake committed Friday morning to support Kavanaugh’s nomination. 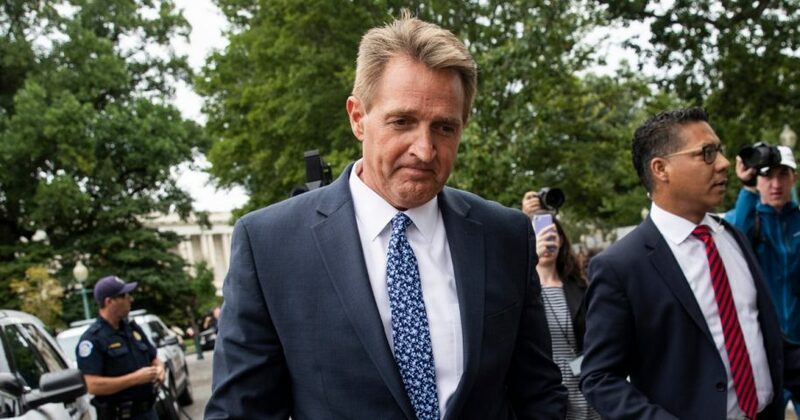 Flake has made no secret about his disdain for the current presidential administration and many were heartened to learn of his decision to stand with Trump’s nominee. But it’s his disdain that left me wondering: When does “yes” really mean “no”? Don’t let Flake fool you. His “yes” vote in the committee had absolutely nothing to do with partisanship or fairness. It had everything to do with embarrassing President Donald Trump. Think about it. Flake voted to nominate Kavanaugh. But what did he qualify his vote with? He demanded the FBI investigate a decades-old allegation against Kavanaugh — an investigation that Democrats are already pushing to extend as long as possible. Flake tried to paint this as something that would “bring people together,” claiming the investigation would take no longer than a week. Anyone who knows anything about government bureaucracy knows that an FBI investigation will take longer than a week. But let’s say it doesn’t. Let’s assume that the FBI will take exactly one week to finish the investigation. No matter what happens in a week, Flake will get what he wants. If the FBI investigation can miraculously find evidence against Kavanaugh, Flake wins. Sure, he voted “yes,” but he gets what he wants in the end: He gets to skewer and embarrass Trump over one of the most important decisions in his presidency. In the far more likely chance that the FBI investigation finds nothing against Kavanaugh, Flake still wins. He gets to claim he said “yes,” while the Democrats start whining and attacking Trump over the investigation. Considering how unhinged Democrats have been over the Kavanaugh ordeal, it’s likely we’ll see them crawl into even more depraved depths after a week of stewing. Meanwhile, as Democrats are making the Kavanaugh process as difficult as possible, Flake can sit back with a smile on his face. He voted “yes,” he’ll say. He did his part, he’ll say. All along, Trump will be the one who has to handle the fallout from another week of ridiculous speculation and hearsay, assuming it’s only a week. It’s truly a win-win situation for Flake. And that makes me sick to my stomach. So when does “yes” really mean “no”? When your answer is immaterial to your true objective. His endgame was and is to embarrass Trump. The Kavanaugh vote was nothing more than Flake’s latest attempt to attack the president. Don’t let him fool you. You can bet Trump won’t. Known as “America’s Toughest Sheriff,” Joe Arpaio had a long and decorated career in law enforcement before being elected sheriff of Maricopa County, Arizona, in 1992. He is now a Special Contributor to The Western Journal. 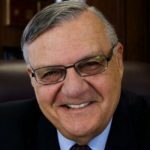 Known as “America’s Toughest Sheriff,” Joe Arpaio had a long and decorated career in law enforcement before being elected to Sheriff of Maricopa County in 1992. After serving in the U.S. Army from 1950 to 1953, and as a Washington, D.C., and Las Vegas, NV, police officer, Arpaio went on to build a law enforcement career as a federal narcotics agent with the U.S. Drug Enforcement Administration (DEA). For almost a decade, Arpaio was stationed in foreign countries where he headed the DEA combatting the drug trade in which, even by today’s standards, are highly volatile and dangerous in Turkey, the Middle East, Mexico and Central and South America. He was also a diplomatic attaché. In his last years with the DEA, Arpaio also gained invaluable expertise on border issues and enforcement as the head of the DEA in the border states of Arizona and Texas. He concluded his remarkable federal career as head of the DEA for Arizona. In 1992, Arpaio successfully campaigned to become the Sheriff of Maricopa County, becoming the head of the nation’s third largest Sheriff’s Office which employs over 3,400 people. He served an unprecedented six 4-year terms. During his tenure as Sheriff of Maricopa County, Arpaio consistently earned high public approval ratings. In August, 1993, he started the nation’s largest Tent City for convicted inmates. Two thousand convicted men and women serve their sentences in a canvas incarceration compound. It was here that Arpaio launched his get-tough policies for inmates. He banned smoking, coffee, movies, pornographic magazines, and unrestricted TV in all jails. It is a remarkable success story that has attracted the attention of government officials, presidential candidates, and media worldwide. Of equal success and notoriety were his chain gangs, which contributed thousands of dollars of free labor to the community by picking up litter, painting over graffiti and burying the indigent in the county cemetery. Another program Arpaio was very well known for is the pink underwear he made all inmates wear. Years ago, when the Sheriff learned that inmates were stealing jailhouse white boxers, Arpaio had all inmate underwear dyed pink for better inventory control. As chief law enforcement officer for the county, Arpaio continued to reduce crime with hard-hitting enforcement methods. He began an all-volunteer posse of 3,000 members, making it the nation’s largest volunteer posse. Posse men and women help in search and rescue and other traditional police work as well as in special operations like rounding up deadbeat parents, fighting prostitution, patrolling malls during holidays, and investigating animal cruelty complaints. The posse’s contributions are invaluable and essentially free to taxpayers. In addition to these tough measures, the Sheriff launched rehabilitative programs like “Hard Knocks High,” the only accredited high school under a Sheriff in an American jail, and ALPHA, an anti-substance-abuse program that has greatly reduced recidivism. He is now a Special Contributor to The Western Journal. On a personal note, Sheriff Arpaio and his wife Ava have been married for over 56 years and have two children, both residing in the Phoenix area. The Arpaios have four grandchildren.